Package #3 now includes advanced high-power LED lighting. 8' option available upon request. The 8' option changes the 10' curved photomural popup to an 8' curved photomural popup (TDD-PPU-8C) and adds a 3rd Awe retractable banner to make up for the lost print area. There is no cost change. All Awe retractable banner images can be different. Please email after placing your order to get the 8' option. Save even more with this package deal. Please see the individual product descriptions of the contents of this package deal. Two (2) Advanced high-power LED popup lights (TDD-LVCC-LEDPUHP), 21W each. The 10' display can mount a total of 4 lights. Add 2 more lights separately for the brightest pop. 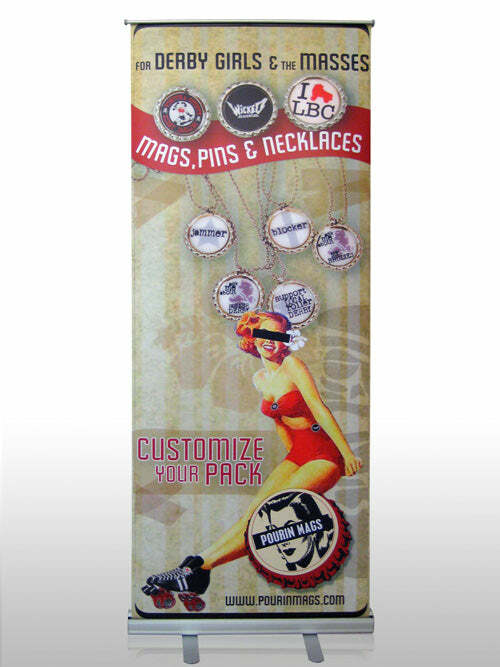 Case-to-podium wrap made from your design file. 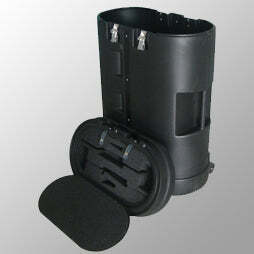 Two (2) Awe-1 Retractable Stands TDD-B-R01-V including tear-resistant durable graphic. 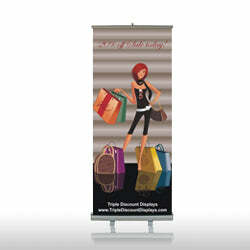 These are photos of the Awe retractable banner stand with print. Everything fits in and ships in the hard shell roller case. 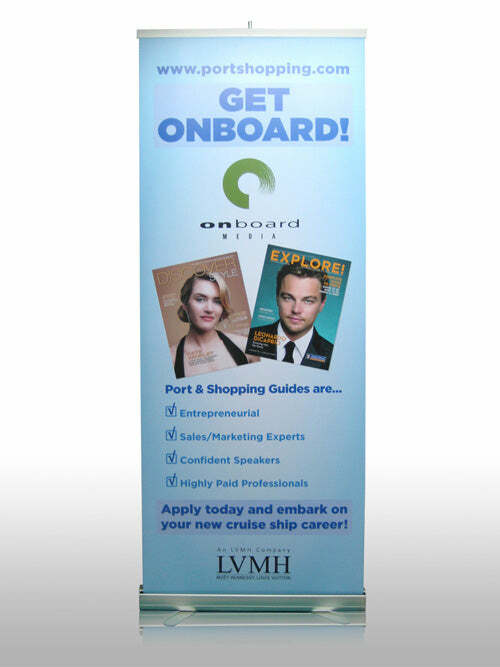 The self-locking aluminum popup frame collapses as does the retractable banner stand (retracts), the literature display (rolls up), the case-to-podium wrap (rolls up), and the 6 panels of graphics (rolls). The lights are stored in the padded case lid. 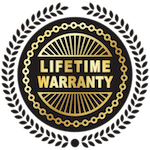 If separately added to your cart, up to 2 additional lights and a third additional retractable banner can fit into the case with this package contents, making delivery to your show extremely convenient. Any additional displays/accessories beyond that will ship in separate package(s). The total weight is about 99 pounds. Free Shipping! Please point your designer to the Graphics link at the top of the site for graphics specifications and blank downloadable templates. 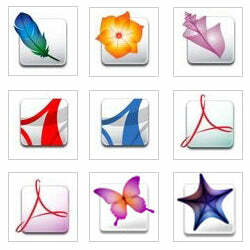 After placing your order, please upload your 4 files to the Upload Files link at the top of the site. The full graphics popup with graphic endcaps consists of 6 multi-layer graphic panels each made from laminated display film on vinyl backing. Panels hang from alignment hooks at the top and magnetically attach to the frame. 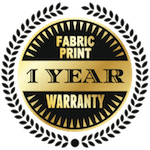 Printing is done at a super-sharp 1440 dpi, more than 14 times higher resolution than some others.